Experienced Truck Accident Injury Lawyers in La Habra, Orange County! Are You Looking For The Best Legal Representation For Your Personal Injury Or Wrongful Death Truck Accident Claim In La Habra, Orange County? If you had a trucking accident or other personal injury claim in La Habra, Orange County or anywhere else in California, or if anyone you know lost a loved one and has a wrongful death accident claim, our aggressive, experienced and very successful truck accident personal injury & wrongful death lawyers will provide expert legal services. Our services not only extend to those injured in truck, car, motorcycle and other accidents, but also help the relatives and families of those killed in a tragic trucking accident or car crash and are in need of legal assistance in their wrongful death claims. Visit our truck injury accident website to learn more about the truck accident injury claims process. 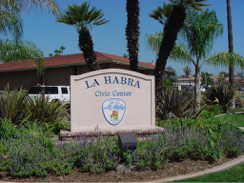 Located in the northwestern corner of Orange County, California, La Habra has a population of 60,237, according to the 2010 U.S. Census. Whittier, Fullerton, La Mirada, Buena Park and La Habra Heights border La Habra. A few noted personalities from La Habra include guitarist, singer, songwriter and music producer – Rusty Anderson, Olympic medal winner Natalie Golda and Major League Baseball Player Alan Newman. A truck accident is a serious matter that can lead to tragic outcomes and have long-lasting effects on the victims involved. For more information on types of truck accidents and legal advice, see our Truck Accident Advice page. In case you are searching for our lawyers’ background and experience in dealing with personal injury cases, particularly truck accident and wrongful death claims, feel free to browse through our lawyer profiles and our personal injury & wrongful death cases and relevant testimonial pages. Over 40 Years of Success & Experience You Can Trust! We have more than 40 years experience in successfully resolving thousands of truck accident, car accident, personal injury and wrongful death cases throughout La Habra, Orange County, Los Angeles, the San Fernando Valley, Ventura, Riverside, San Bernardino and all around California. Immediate help with medical care, specialists, property damage repair and settlement, loan cars, monetary advances, medications, prescriptions, etc. We work on a contingency fee basis: Which means NO FEE UNTIL YOU WIN! Our fee is paid by the insurance company out of the recovery. and on accident injury cases: ABSOLUTELY FREE & CONFIDENTIAL CONSULTATION!